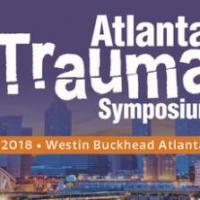 The Atlanta Trauma Symposium is a two-day course highlighting the latest in advancements and treatments in orthopaedic trauma. A distinguished faculty will present the latest concepts and techniques in orthopaedic trauma, through didactic lectures, case presentations, and hands-on workshops. On completion of the course, learners will be able to: Apply the most current techniques in fracture care, Appraise the updated indications for fracture treatment selection, Identify the complexity of fracture so as to make the best referral decisions, Analyze how healthcare reform may impact physician practice in orthopaedic trauma and Employ different treatment options based on expert opinion. This course is designed to meet the needs of general orthopaedists and mid-level providers whose scope of practice includes fracture repair. FORE designates this live activity for a maximum of 20.25 AMA PRA Category 1 Credit(s)™.